I am always on the lookout for a good crime book set in D.C., and this one seemed especially promising because the main characters include two female members of the police force. My sister is in the D.C. Police, so I couldn’t wait to read it. Mason “Mace” Perry has just been released from prison after serving for two years for a crime for which she, a former D.C. cop, was framed. Her sister Beth, six years older and traditionally more like a mom to Mace than a sister, and who also happens to be the D.C. Chief of Police, could not help Mace too much without risking her own position. Mace misses the police force like crazy, but cannot be readmitted unless she is cleared of the criminal charges. She figures that if she can help crack a big case, maybe she can get back on the force anyway. She accompanies Beth to the scene of a crime at a law firm and attaches herself to a lawyer there, Roy Kingman. Together, they go behind Beth’s back to help solve the mystery. Mace and Roy soon discern they are in a very dangerous situation, as the criminal matter seems to reach all the way up to the Director of National Intelligence. But how, and why? And will they survive an investigation with such huge stakes? Discussion: There is not much complex characterization in this book, and not really even much mystery. The bad guys are pretty darn bad, and the good guys are pretty darn good. Mace is drawn with a little more nuance than the other characters, but not much. It seems as if Baldacci was going for a girl like Lisbeth Salander in The Girl With the Dragon Tattoo, but the level of skill and art is just not there. Yeah, that’s a typical girl observation. Um, yeah, that’s a believable exchange between the top politically-appointed prosecutor (Mona) and the sister of the Chief of Police (Mace), herself a former policewoman and aspirant to be in that position once again. This presumes the elderly Altman memorizes the stats of every nobody for every game for every year. Sure. Evaluation: This just barely makes the cut for me for an acceptable airplane book. I’m still putting my money on George Pelecanos for crime books set in D.C.
maybe this is why I have not read any Baldacci in quire awhile. A shame. it sounds like a good premise but I can not forgive stupid dialogue. Believe it or not, I’ve not read a thing by Baldacci. 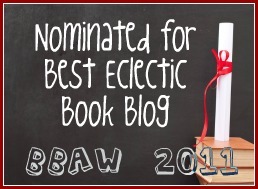 So many writers of this genre, you have to be careful. I assume you’ve read the Alex Cross books? Those are on the edge of being tolerable, but I read them anyway. I am still giving thought to your men’s shirt disposal issue. My husband is actually OCD about having perfect-looking shirts, so I don’t have to worry about this task. But I’m working on a solution. An accidental bleach spill perhaps? Or maybe it got ripped up somehow in the aggitation cycle in the washing machine? The answer is near. I think when we were in D.C. last year I saw posters all over the Metro for this book (I guess because it’s about the area)… I’m all for a good crime novel, but of course the operative word there is “good”, and based on the writing alone, I don’t think I could stomach this one. I did love the excerpt you included in which his female character eyes up another woman… as if! I love the way you dug into this one. Through most of the book I thought Mace actually had a latent thing for girls. I’m with you on George Pelacanos. Sorry this didn’t cut it for you. I’d love to know what your sister thinks of it. Totally cheesy!!! He’s losing it! Ouch! Those quotes are terrible! It reminds me a little bit of a Clive Cussler book I tried to read last year. I made it about two chapters before I got tired of rolling my eyes over the ridiculous things the main character was saying (and how all the girls fell all over him). My mom has this one for review, but she hasn’t said much about it so that’s never a good sign. I’m thinking she didn’t like it much. 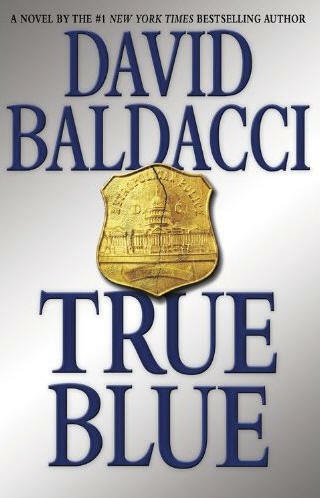 I really liked another of Baldacci’s books…maybe this is just not as good. Oh people! I loved this book. I listened to it on audio and though he pushed the boundaries of believability out of the door in a few scenes, I really enjoyed it. Sometimes you get a good story and bad writing, sometimes a bad story with okay writing. Sorry this one seems to have given you the worst of both. I think I read some books by this author (maybe 2?) and I wasn’t that impressed. I would be freaked reading a book about a job my sister did that was dangerous … but I guess I could see the appeal. Well you just saved me several hours to spend on a different book, and to think this one arrived in the mail today. Oh well. Make a good giveaway I guess. Usually read David Baldacci’s books in 2 days. It took about a week as it did not capture my interest from the beginning. Baldacci usually throws in a surprise to keep you on edge but this book was flat and the characters not interesting. Not his usually quality. What about The King and Maxwell series? I enjoyed that series for the most part . I am actually listening to True Blue right now which seems lonnnnnnnnnng but enjoyable for the most part, the mother in this book is ……something strange. I cannot tell you how bad this book is. The plot holes, the writing, the really, really bad research. I could not finish it. Disappointed in the Baldacci book. Usually really enjoy him. Over the top and unbelievable in parts. Come on David…! This book is awful. 2.5 was generous. Dialogue was just awful. So many awful passages, e.g. one of Psycho’s gang shouts “Hey!” when Mace was running away from them. I mean, come on man! A bad guy named Psycho? Pft. This is easily the worst book I’ve ever read. Garbage.